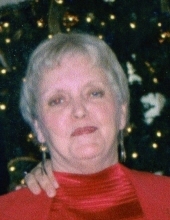 Mrs. Linda Sue Pate, age 73, of Rockmart, GA passed away Tuesday, April 9, 2019 in the local nursing center. She was born in Rockmart, GA on January 8, 1946, a daughter of the late Marvin Ingram and the late Margie Clemons Millican. Mrs. Pate lived the greater part of her life in Rockmart where she was a homemaker. She was of the Baptist faith. In addition to her parents she was preceded in death by her sister, Sandra Garrett. Survivors include her three daughters: Jean Jones, Rockmart, Janice Duke, Rockmart and Casie Duling, KY; son, Tommy Dean Pate, KY; twelve grandchildren; seven great grandchildren; brother, Gary Ingram and his wife Patricia, Silver Creek; and a number of nieces and nephews. A gathering to celebrate the life of Linda Sue Pate will be held Saturday, April 13, 2019 at 6:00 PM in the Fellowship Hall of the Morning View Baptist Church. Mrs. Pate's brother, Rev. Gary Ingram will have some words of reflection. The Alvis Miller & Son Funeral Home & Crematory of Rockmart is in charge of cremation services for Mrs. Linda Sue Pate. To send flowers or a remembrance gift to the family of Linda Sue Pate, please visit our Tribute Store. "Email Address" would like to share the life celebration of Linda Sue Pate. Click on the "link" to go to share a favorite memory or leave a condolence message for the family.